Our automated technology analyzes your financial goals and time frame and recommends an investment portfolio that is customized for you. You have the option to adjust the portfolio selection as your unique circumstances change over time. This investment portfolio is designed to ensure you have a prudent emergency fund on hand without giving up potential growth over time. 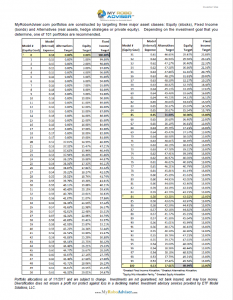 The investment portfolio is designed to manage volatility and can be changed at any time. Whether its your dream house, a new car, or the vacation you’ve always wanted to take, we provide a recommended investment portfolio based on your personal goal. The portfolio can be changed to any timeline. This is a long-term investment account. We offer both taxable and tax-advantaged retirement accounts. Our advice customizes investment portfolios and suggests a monthly deposit according to your retirement age and personal needs. You can change your goal at any time. 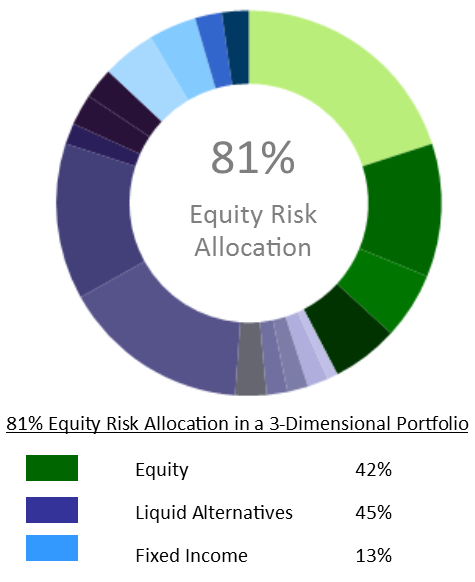 Rooted in the institutional style of investing, MyRoboAdviser offers 100 ETF models for you to choose from. 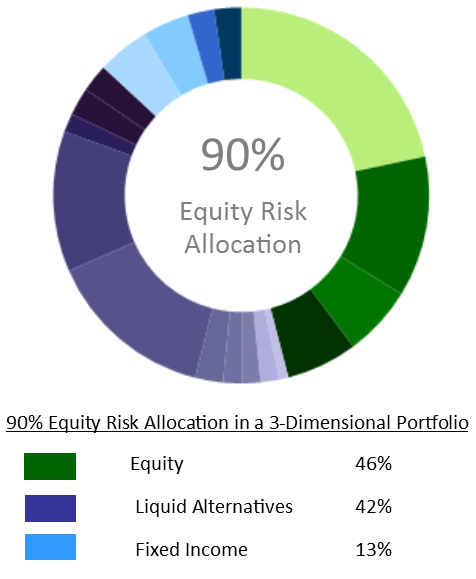 Models 20-100 diversify your investments into 3-Dimensions: Global Equities, Global Fixed Income and Global Risk-Managed. Learn the benefits of using our 3-D Endowment Investment Philosophy™. Based on your goal and time horizon, our system will automatically choose an allocation for you. We also give you the option to customize and you can choose an allocation that is more conservative or aggressive. To view the breakdown for all 100 models, click on the image to the right. Above all else, we believe in the power of effective planning. Although investing is a key component in reaching your financial goals, there’s no guarantee that you’ll reach your goals without the right plan. Our automated solution helps you monitor whether you are on or off track. 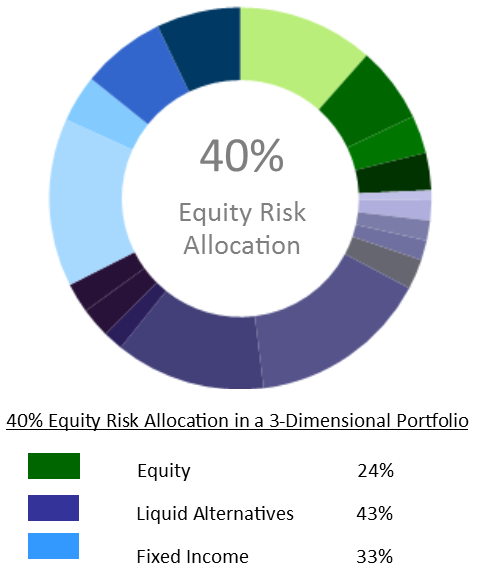 My Robo Adviser’s investment process takes into account your goals and your investment time horizon in order to create an effective and personalized asset allocation.